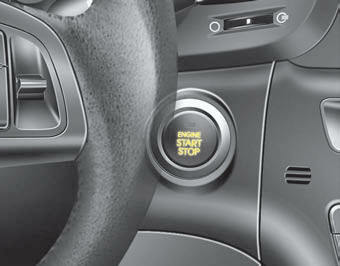 Whenever the front door is opened, the ENGINE START/STOP button will illuminate for your convenience. The light will go off after about 30 seconds when the door is closed. It will also go off immediately when the theft-alarm system is armed.